Fire, smoke and brimstone charcoal – is there anything more glorious than a good barbecue? Le Bon Ton in Collingwood is serving up American style barbecue and sides, and we took a trip for some of that deep south. 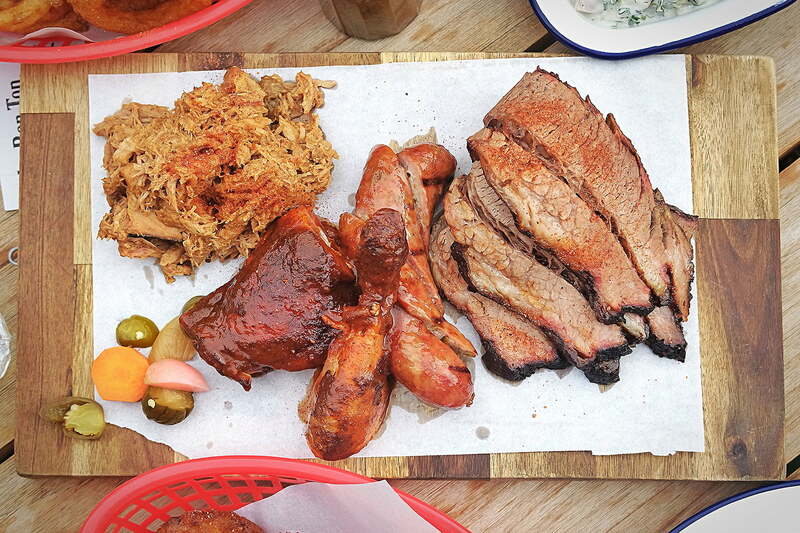 The Smoker’s Lot is a fantastic tasting platter to begin with, if not a bit on the measly side. The meats were not particularly mind blowing, but it was of a very decent quality. If this was just based on the meats alone, I think The Erko comes out on tops. The Onion Rings were an extremely pleasant surprise – super crisp and light, with a killer aioli on the side spiced with the all-famous Old Bay Seasoning. They also brought a pretty strong potato salad game too, with pops of acidity from the pickles cutting through the creamy potatoes and mayo. Service wise, it was polite, if not a bit absent, which I can understand because there didn’t seem to be many members of staff around for a packed outdoor AND indoor area. You get more bang for your buck if you’re sharing with friends, and it’s a great atmosphere, especially if you’re sitting outdoors. Now, if you’ll excuse me, I need to get my hands on some potato salad.